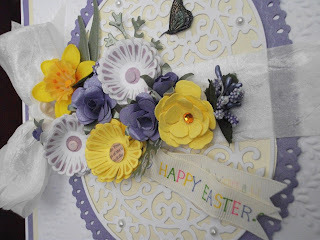 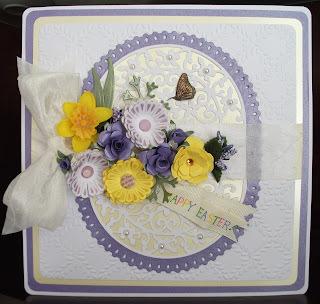 I began with the centrpiece, forming an oval on white card with Heartfelt Creations Scalloped Posy die, as this is semicircular I cut it twice leaving a gap in the middle where the ribbon band was to go, I backed it with lemon pearlised card. 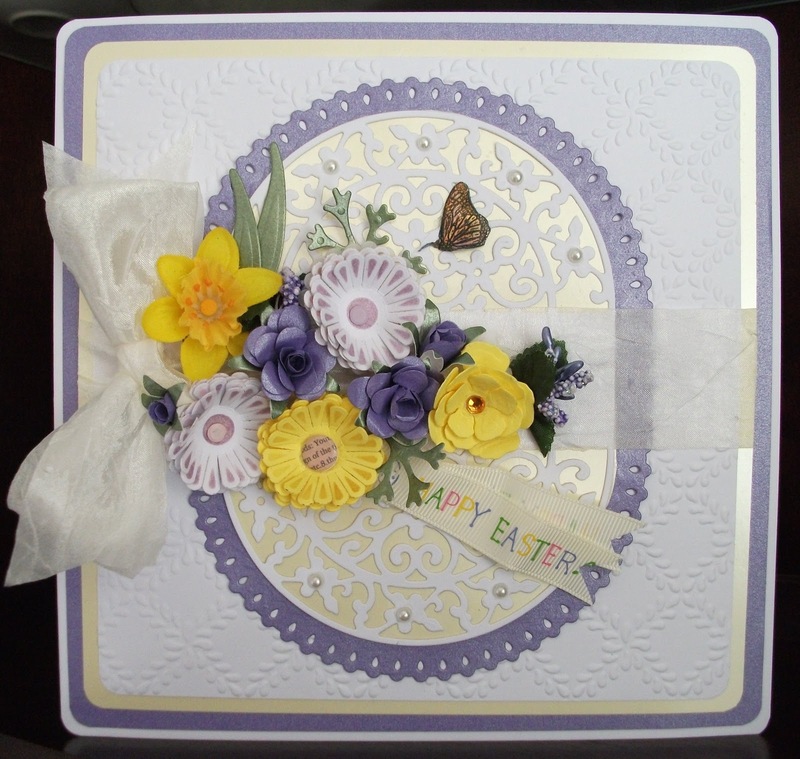 Then I mounted this on a purple mat cut with another die in the same set, this in turn was put onto a white mat which I had embossed with spellbinders Garden Lattice M-bossibilities folder, a piece of white silky crush ribbon was wrapped around the centre. 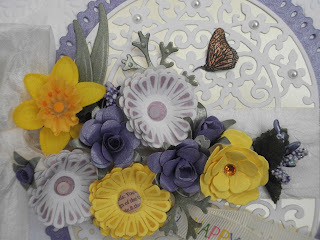 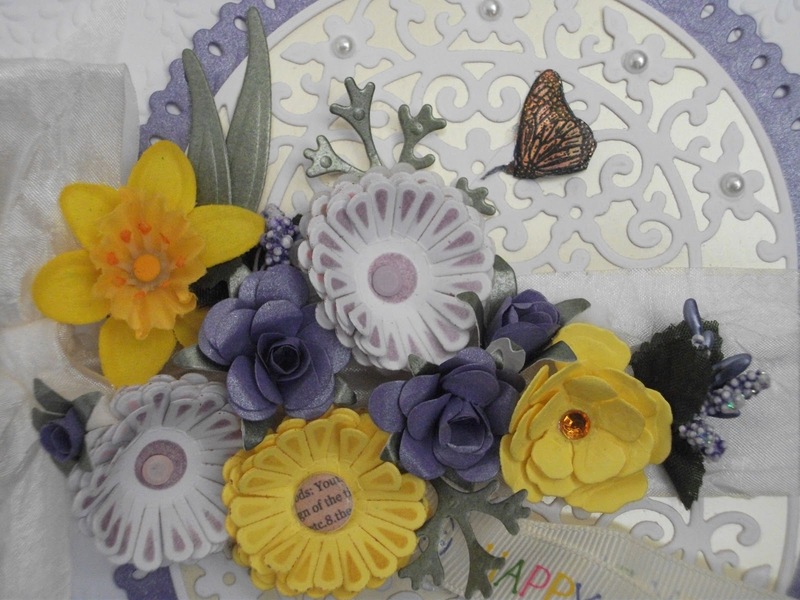 The flowers were made using various spellbinders dies apart from the daffodil which is a Marie Curie charity flower I recycled.